A poignant look at marriage, death, if you really know a person as well as you think you do and the inability to be caged. 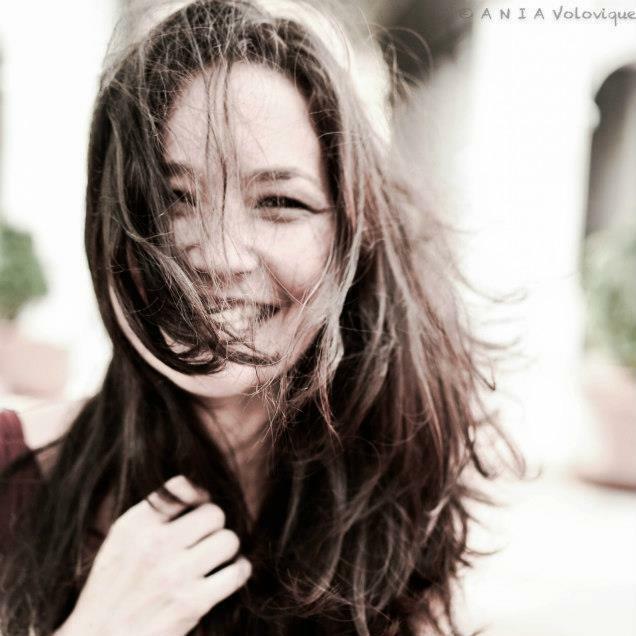 Is love ever really enough? 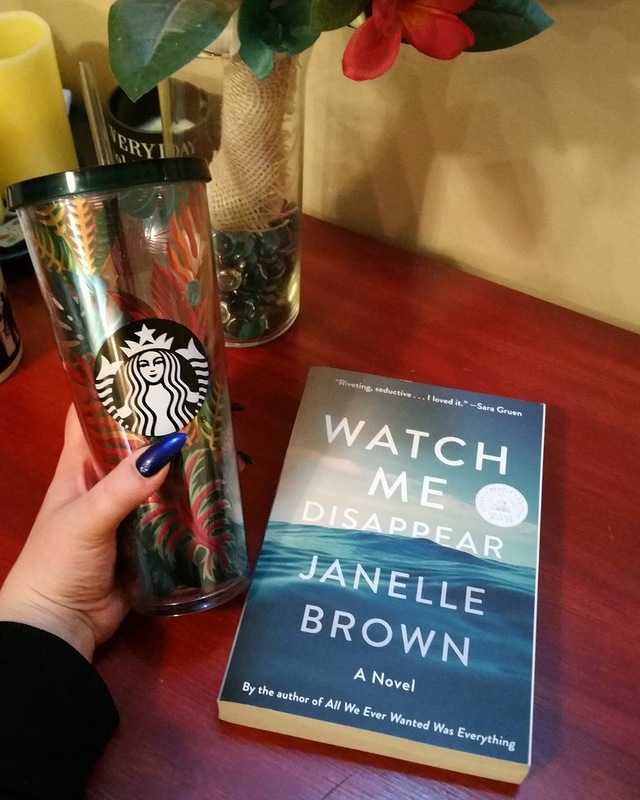 See what this trio thought of this contemporary mystery. Billie Flanagan, wife to Jonathan, mother to Olive, went on a solo hike a year ago. As she's known to take off from time to time, either with friends, or on a solo journey, there was not much worry when she didn't return.. but then days passed and although a body was never found, she's presumed dead. A year later, Jonathan and Olive have to cope with the finality. Jonathan, head bent into a memoir type book about his life with her and Olive, having visions of her mother. Determined she's alive, Olive implores her Dad to help her. As he digs in, he realizes that there are layers of secrets his wife kept from him. Is she really dead? Or has she simply disappeared... again? What a beautifully written book. We see through Jonathan's eyes, including through pages from his memoir, and through Olive's. I wouldn't actually put this in a thriller category but more of a contemporary/literary mystery type genre. It's a story of coming to terms with a loved one's passing and learning why secrets are kept. You really only see what you want to most of the time when you love someone. Love is blind, they say... and it's all too true most of the time. People see people differently depending on their relationship with another. Not only do we see their struggle with a death on paper, but no body to show for it, but we see their inner turmoil that causes ripples in their outside relationships. I, for one, really needed to know what happened to Billie. Is she actually dead? Did she just disappear? I need to be inside HER head! I can definitely see where the epilogue will invoke some interesting reactions from the readers. There's so many things I want to say here but won't as anything I do will probably cause even the teeniest of spoilers. I will say that I'm happy with it. A book about death, marriage, relationships between parents, kids, friends, etc. etc. If you want great writing re all of the above, definitely read this book. I'm glad that I did. A year later, when it's time to sign the death certificate and declare Billie legally dead, Olive begins having waking dreams and hallucinations about her mother. She can't seem to shake the feeling that she's still alive. Jonathan begins to worry about Olive's stability and begins digging into his wife's past - he uncovers secrets that makes him question everything he thought he knew about Billie. This was very well-written and the characters were relatable. It did take some getting used to when it came to the first person then third person viewpoints. I did enjoy the book within a book - after the disappearance went viral, Jonathan was able to get a book deal out of it and he wrote a memoir. So some of the chapters are the articles and passages he was writing. For those looking for an edge-of-your-seat thriller, then this won't be what you're looking for. This is definitely more along the lines of a character driven mystery. It's much slower in its pacing and is very focused on Jonathan and Olive and how they individually grow throughout the story, as well as how their relationship strengthens through the mystery of Billie. If you like the whole, "book within a book" and a slower building mystery, then this is a book you should pick up! I give this one 4/5 stars - I loved the writing and that bumped it up from 3.5/5 stars (I was initially expecting a thriller, not a mystery). 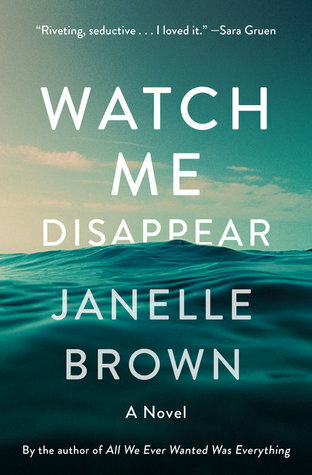 I have never read a Janelle Brown book before but I am always eager to try a new author; so, when #cjsreads chose Watch Me Disappear for one of our July titles, I was pumped. The book opens just about a year after Olive’s mother, Billie, has gone missing during a hiking trip. Now presumed dead, Olive’s father, Jonathan, is in a legal battle in order to declare Billie dead and Olive is trying to get her life back in order. However, Olive begins to see her mother. First thinking it is a hallucination and then wondering if it is a sign, Olive shares her experiences with her father and they both, in their own way, begin to dig into Billie’s life. While looking for the truth, secrets come to light, leaving both reeling. My first thought once I finished reading was that this book was not marketed correctly; I didn’t find this one fit into the mystery/thriller genre. I would have deemed it contemporary fiction. Going in, I was expecting a fast paced, psychological type thriller and instead, I found this to be more of a slower read. Even with this, I did feel like it was actually paced quite well. Brown is able to string her reader along and keep them captivated. I found myself completely engrossed with the actual plot. Narrated through alternating perspectives by Jonathan and Olive, Brown weaves a tale of deception and grief. I was captivated throughout the chapters; especially interested in the chapters highlighting Jonathan’s novel (he is writing a memoir about the time spent with his wife) and his struggle for answers. The book has a very strong, sort of metaphysical aspect that I thought was really interesting. 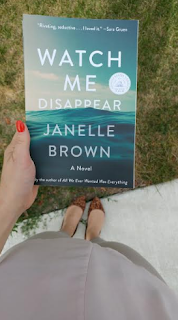 Throughout, it remains very unclear whether or not Olive is truly experiencing something more parapsychological or if she is truly working through the grieving process. I really like the ambiguity of this fact and it propelled me to continue reading. My one real issue with the text was the characters themselves. I didn’t feel particularly attached to anyone. It could have gone either way for me; Billie could have been alive, she could have been dead. It really made no difference to me. I wish the author had spent more time developing the character relationships so I could have been more invested. Another bone I have to pick with this book regards the ending. I was SO MAD when I read the final pages. As soon as I finished I sent a caps locked rage filled e-mail off to everyone I knew had read the book. I was RILED up. Regardless of my general feelings about the end, I felt like this was a stellar read. I think that readers who enjoy a family drama or a piece of contemporary fiction will devour this one. However, if you are looking for a fast paced thrill ride, you would be disappointed. I gave this one a 3.5/5 stars. Big thank you to Spiegel & Grau for these copies in return for our honest opinions.